Ready to Share asks whether the fashion industry offers a compelling model for other creative industries to explore and emulate. Are technological developments – digitization, cheap and easy replicability – propelling the emergence of a “creative commons” in any case, no matter what content industries prefer? Ready to Share looks beyond the familiar concept of fashion trends to explore how creativity emerges, circulates and evolves in the fashion industry – and in contemporary culture more generally. This landmark conference on creativity and ownership in the fashion industry was presented by the Lear Center’s Creativity, Commerce & Culture project, and sponsored by The Fashion Institute of Design & Merchandising/FIDM. 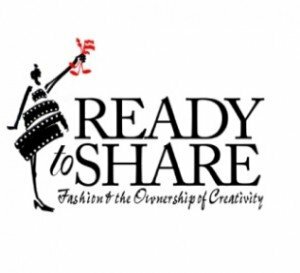 Ready to Share explored the fashion industry’s enthusiastic embrace of sampling, appropriation and borrowed inspiration, core components of every creative process. The event featured provocative trend forecasts, sleek fashion shows and an eclectic mix of experts from the fashion, music, TV and film industries. To date, this project has produced three research reports (included in the book, along with photos and panel highlights on DVD — request a free copy) and continues to offer a rich foundation for subsequent conference presentations like Fashion and the Democracy of Style. Watch the exceptional RTS video sessions.